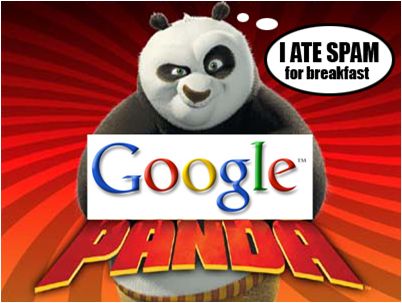 Google Search updated three times the search algorithm and it is named as Google panda.As we all know that Big G is the uncrown emperor of the virtual world of internet.It is going too competitive in online activities recent day by day as users are growing like bacteria's fission so when it does not lay emphasis on quality then lose out the prospective customers .It is mentioned that the update of Google Panda in last year,many webmaster have been trying to figure out the algorithm of Google but all are failed because Big G never lays any clue in it's works.Check out about the 8 Points To Safeguard Shield To Website & Blog From Recent Google Panda 3.4 . Every webmaster or blogger must focus on getting better own site or blog to avoid the Panda update.According to my notion says that webmaster and blogger must follow this important SEO techniques.Today I am going to describe a few methods to safe own website or blog from Google panda updates.8 Points To Safeguard Shield To Website & Blog From Recent Google Panda 3.4. 1.Avoid spelling and grammar errors in your content. 3. Add some extra spice to your writing. 4. Promote with subtlety which means add call to action web pages. 5. Never use link exchange of any mode. 6. Take down such low quality pages. 7. Beware of Content Scrapers. 8. Diversity in anchor text. Every webmaster and bloggers wants to make safeguard for own website or blog and make it Panda proof.These points will allow to withstand even when there are any major updates.This is the way to users get best surfing experience with any website or blog as well as Googlebot too.The new age SEO is all about providing authentic information to website or blog visitors but never do over SEO. It is seen that every human beings tendency to follow the recent trends especially the ones beneficial for users own.Google has updated Panda 3.4 and which is running from last night.It may be intending to take down thousands of link and content farms as well as low quality sites too.I am not sure who are affected by this Google panda update 3.4 but a great deal of damage to SERP rankings will be taken place with in few days. Really Awesome tips and very useful for me and my other blogs..
One of the great post to safe from Google Panda .Thanks to share the tips. Wonderful submit, very informative. I wonder why the other experts of this sector don't understand this. You must proceed your writing. I am sure, you've a great readers' base already!|What's Going down i am new to this, I stumbled upon this I have found It positively helpful and it has helped me out loads. I hope to contribute & aid other customers like its helped me. Good job.